This week we will be working on the log cabin part of the quilt. 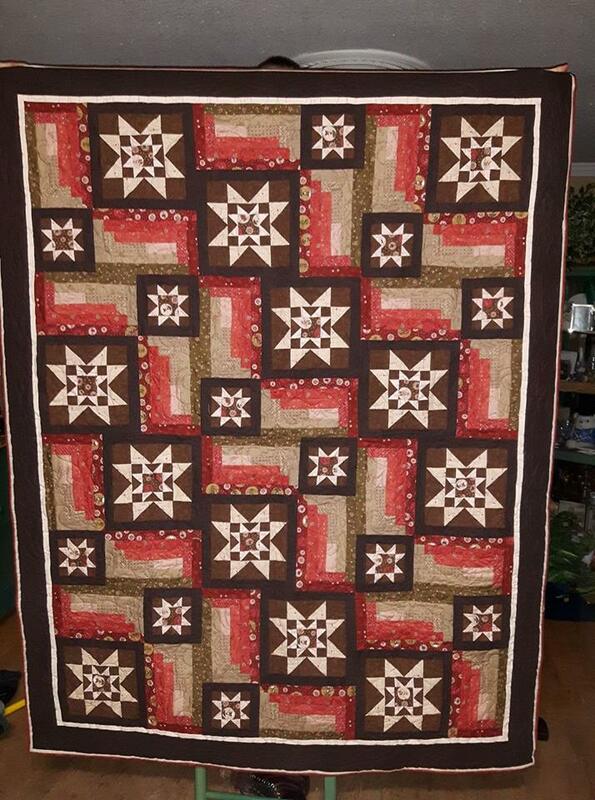 If you have not yet chosen your materials for this quilt it can be found in previous post of this blog. A schedule of the releases is at the bottom with a link to previous parts. Some of you sent me your pictures of the fabrics that you chose so this is what I have received so far. I also have chosen some more fabrics so as we make this quilt together I will take pictures of my progress. These are the fabrics that I will be working with for this quilt. I was able to draw all the fabrics from my stash. Most of the greens and blues were leftovers from the Cat tails in the meadow quilt that I made a few years ago. Half the blocks were built clock wise and the other half are built mirror image. When building he 2nd half I found it easier to build it by looking at the back side of the previous block. Previous 2017 Christmas sew along…Stellar Cabins, Playing with color.